Sanjay is a thought leader on U.S.-India relations, an active entrepreneur and mentor. He heads the non-partisan United States India Political Action Committee (USINPAC) and Alliance for U.S.-India Business (AUSIB). Both organizations motivate productive relations and beneficial outcomes for the two nations. Sanjay has spent much of his career as an entrepreneur across multiple business sectors. His entrepreneurship began with a grant from National Institute of Health where he led a team that encompassed artificial intelligence techniques to diagnose patients with Alzheimer’s disease. He then moved on to ventures that included retraining technology workers who lost their jobs and and an IT Services company, Optimos. His clients have included the Library of Congress, Federal Reserve Bank, U.S. Mint and the National Labor Relations Board. Optimos was sold in 2014 at a point when Sanjay’s focus turned to a new technology-driven sector known as ‘connected transport’, a critical component of ‘Smart City’ technology initiatives taking shape around the globe. He founded AUTONEBULA as an accelerator for top-level entrepreneurs who develop technologies for connected transport in the U.S. and India. 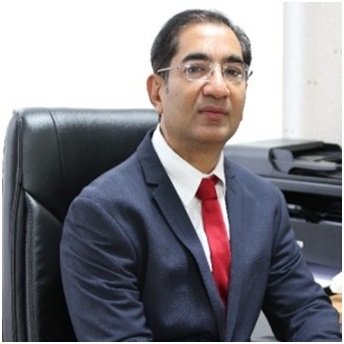 Sanjay also is Chairman of Kaloupi, a firm specializing in back office outsourced services and Wellisen, a nutraceutical company. Sanjay holds an M.B.A. in Finance & Investments from George Washington University. He’s been a recipient of several industry awards and is a frequent public speaker and media contributor. Based on this framework, the specific rules and future management committee processes will be constituted by the above mentioned management committee. An overall principle of broad agreement will be adopted when dealing with significant changes. The Secretariat will not be responsible in any way for any investment decisions taken by the members, the correctness of any information that it receives and disseminates, etc. In signing this document, each member specifically indemnifies the Autonebula Incubation Services Pvt. Ltd., its employees and Directors against any such liability. Nothing stated herein should be deemed to create a partnership among the members; nor give any authorization to any member to act for or assume any obligation or responsibility on behalf of, any other member, The Network Company, its employees and its Directors, other than has been expressly provided for herein.